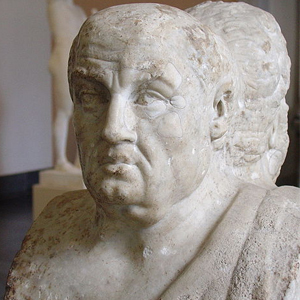 Lucius Annaeus Seneca (often known as Seneca the Younger or simply Seneca; c. 4 BC – AD 65) was a Roman Stoic philosopher, statesman, dramatist, and in one work humorist, of the Silver Age of Latin literature. He was a tutor and later advisor to emperor Nero. While he was forced to commit suicide for alleged complicity in the Pisonian conspiracy to assassinate Nero, some sources state that he may have been innocent. His father was Seneca the Elder, his elder brother was Lucius Junius Gallio Annaeanus, called Gallio in the Bible, and his nephew was the poet Lucan.